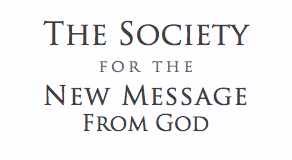 Reed Summers speaks on what is truly new in the New Message from God. 2 Responses to "A Truly New Revelation"
Is there time to complete the 365 steps, or should I continue what I believe my tasks are while I study? I see a growing need for my community of about 1000 to be self-sustaining in terms of food and water, clothing and shelter (heat) and I believe I have the necessary information, will and ability to make it happen. There is time to complete Steps to Knowledge. Take the Steps to Knowledge and engage in this practice while you continue to live life. Many people find that as they practice Steps they experience greater direction regarding who they should be with, where they should go and what they should do. This can and will only help you gain more certainty as you move into the future.